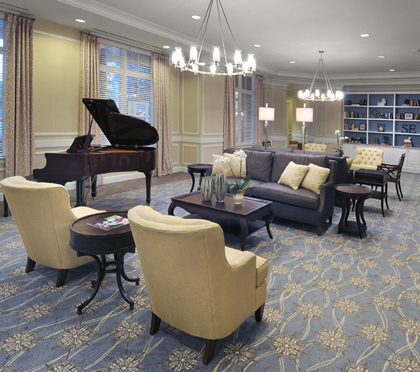 This is a 200-unit senior living community in Sandy Springs, Georgia which features 128 independent living apartments, 48 assisted living apartments and 24 memory care units on over 6 acres of land. 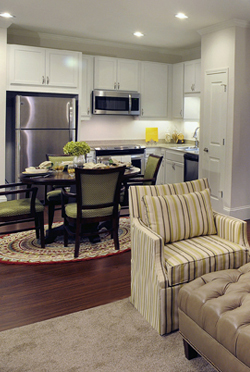 The community features full-service fine dining, a bistro/social cafe, a library, a media lounge, a salon/spa, a resident art studio, concierge healthcare, a state-of-the-art health and wellness center complete with physical therapy, fitness center and indoor heated pool. 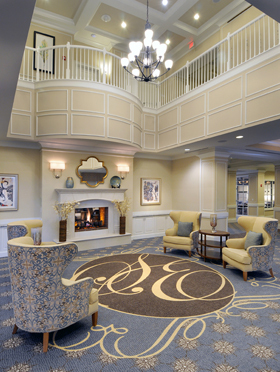 The goal was to create a Senior Living environment to inspire and nurture successful living. A place to call home where the built environment creates and supports a zest for life. A people-centered design where residents, staff and visitors can come together to create a place full of energy celebrating the joy of community.